The Census Bureau released 2008 American Community Survey data on September 22. 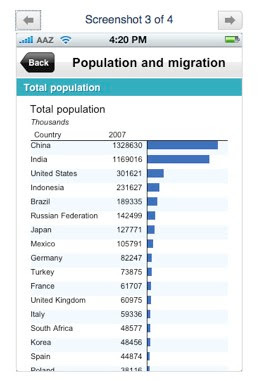 You can access the data through American FactFinder or from the American Community Survey page. This release includes health insurance coverage data for areas with populations over 65,000. Of course the margins of error are a bit high (the constant problem with ACS), but it is still useful information! If you have questions about using these sources, please feel free to contact Lynda. View more presentations from Lynda Kellam. Hello again dataheads! The Inter-university Consortium for Political and Social Research just held a webinar on their new site. Here is the quick and dirty. New search engine: They have rebuilt the search engine completely. The best addition is faceted searching, which allows you to filter your search with additional terms like subject terms, geography, time period, and even study author. You also have easy and quick access to the ICPSR Thesaurus for more terms. NO MORE DATA CARTS! The data cart is a thing of the past (Shame really. I loved the idea of a grocery bag full of data). Instead you will see all the various options for download displayed immediately. One note on this option: if the various options are grayed out, then just log in as a member and the arrows will be available for downloading data. RSS Feeds: You can now create RSS feeds based on your search query. This is my fave feature by far! So, if I'm interested in data about crime in the US, then I can save my search query to my RSS reader. Super cool! Let me know if you have any questions about doing this! Other stuff: They have expanded the Variable Database to cover about 20% of holdings minus Census data, so you can search for particular variables across a large number of studies. In addition they have started using Blogger and integrating Blogger posts into the ICPSR via RSS feeds. The ultimate goal for this integration is to (eventually) allow users to comment on parts of the website and maybe individually studies. I look forward to the possibility of the community sharing its vast knowledge about particular studies and more. If you want to see all of this great stuff for yourself, check out the slides or recorded presentation. There are many more tutorials on a variety of topics available through the Data User Help Center, so check it out! 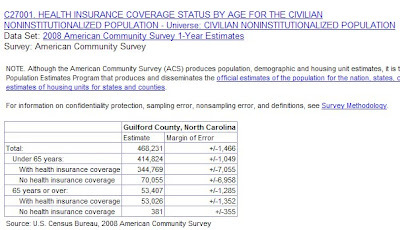 The Census Bureau plans to release microdata from the 2008 American Community Survey (ACS) on September 22nd, 2009. We will produce an IPUMS version of this dataset within a week of its public release. The IPUMS version of the data will be available via the IPUMS-USA site. Finally, earlier today we released the IPUMS version of the 2009 March Current Population Survey, available on the IPUMS-CPS site at http://cps.ipums.org . Check this website, if you are interested in the IPUMS mailing list. If you use census data and haven't checked out the awesome efforts at the Minn Pop Center, then you really need to do so now. Like today. It will change your life. Promise. That's right dataheads! The Inter-university Consortium for Political and Social Research has officially entered the 21st century and changed its look. You can even "attend" a webinar to learn all that the new site has to offer. I'm very excited about the new search engine. Plus there seems to be tons of new video tutorials (my fave thing, ever). I'll be back soon after the webinar to blog more about the changes, but in the meantime you should check it out! 2009 ICPSR Web Site - Navigating & Using the New Site! Join us for a Webinar on September 16. Space is limited. Reserve your Webinar seat now. This presentation will focus on changes to the ICPSR Web site, with special attention given to the search engine, the study home page, and the new download page. We'll also briefly discuss RSS notifications and additional changes that will be made by the end of the calendar year. Title: The 2009 ICPSR Web Site - Navigating & Using the New Site! Statistical Warehouse is UNCG's general resource for finding statistics on a wide variety of topics. From demographics to social indicators, from economic stats to voting stats, Statistical Warehouse lives up to its name by being a warehouse bursting with stats. Stats Warehouse also now has ACCRA Cost of Living data for all you Power Users out there! This quick start tutorial shows you how to use the Power User mode to find the population of specific counties. Access to Statistical Warehouse is restricted to UNCG faculty, staff, and students. Want to know more about Guilford County in 1960? A new project, NC Census Data: 1960-1980, is now providing online access to NC census profiles and maps. A joint effort of the State Library of North Carolina and the North Carolina State Data Center, the site provides North Carolina census profiles for 1960s, 1970s, and 1980s censuses as full-text searchable PDFs. These profiles include county and state level demographics information and enumeration district maps. SimplyMap is a web-based mapping database for developing thematic maps–and tables—using thousands of demographic, business, and marketing data variables. This quick start tutorial shows you how to find data for a specific census tract. Census tracts are small, relatively permanent statistical subdivisions of counties created by the US Census Bureau. Read this page from the Census Bureau for more information about census tracts. The Triangle Census Research Data Center (TCRDC) will hold its annual conference "What is the TCRDC and How Can it Help Me?" on September 18, 2009 at Duke University. The conference speakers will talk about using the confidential microdata available at the TCRDC. You will also have an opportunity to talk with TCRDC staff members about accessing the confidential data. The conference is free for UNCG faculty, staff, and students. You may register online and read more about the day's agenda. 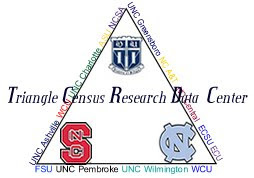 UNCG researchers now have access to unpublished Census microdata through a partnership between Duke University, the U.S. Census Bureau, the UNC System and the TCRDC. This partnership allows the faculty, students and research staff of member institutions to access unpublished microdata from the Census Bureau’s economic and demographic censuses and surveys. Confidential data from other government agencies, such as the National Center for Health Statistics, may be accessed as well. Access to this confidential microdata is provided at a secure computer laboratory located on the Duke Campus. Check out the TCRDC web site for more information about the available data sources. All your country data needs! 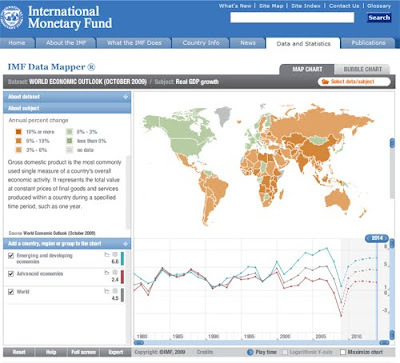 World Development Indicators Online is UNCG's primary database for statistics on individual countries. Originally published as the World Bank's World Development Indicators Yearbook, WDI compiles development data for over 800 indicators and 200 countries. The purpose of this compilation is to provide a statistical benchmark for the progress of development in individual countries and regions. The data is wide ranging from economic indicators, such as balance of payments data, to social indicators, such as the literacy rate. If you are working on topics with an international focus or country comparisons, I encourage to explore WDI. It is a great database and very easy to use. Off campus access to World Development Indicators Online is restricted to UNCG faculty, staff, and students.